I was visiting with a young-Earth creationist (a dear brother in Christ whom I did not know) during a break at the Nathaniel Jeanson presentation earlier this month. In the course of the conversation, I mentioned that there are a good number of prominent, conservative Evangelical scholars and pastors who advocate acceptance of an old Earth, and who view this as perfectly compatible with Genesis. I don’t remember exactly who I listed, but probably men like J.I. Packer, Charles Spurgeon, Francis Schaeffer, and John Piper. These Bible teachers—all of whom hold to the inerrancy of the Scriptures—did not come to an old-Earth interpretation because they were compromisers or friends of the world, but because they looked closely at what the Word actually says and doesn’t say on the topic, and came to the conclusion that a 6000-year old Earth is simply not required. This brother in Christ told me that I will not have any of these men standing next to me when I stand before God in the judgement; that I would have to give an account to God for my false teaching on the age of the Earth. My response was that if I am wrong on this topic, I have someone even better that Packer, Spurgeon, Schaeffer, or Piper who will stand next to me before the Father, and that is Jesus Christ. I have no doubt that I don’t have all of my doctrines correct. I feel rather strongly about some doctrines—the Trinity, substitutionary atonement, the solas of the Reformation—but probably misunderstand some of the nuances of these core teachings of Christianity. There are a number of secondary doctrinal issues that I could be wrong on as well, such as in the areas of eschatology, ecclesiology, and pneumatology. But, praise be to God, Jesus died for my sin of false doctrine as well as for my sins of lust, greed, selfishness, indifference, and so forth. If not, I’m sunk. And so, most likely, are you. Does this mean I think it doesn’t matter whether I get my doctrine correct? Not at all. Could I be wrong about what the Bible says about the age of the Earth? I really do believe the Bible is ambiguous on the topic, but I acknowledge that I could be mistaken. Could young-Earth creationists be wrong about what the Bible says about the age of the Earth? I think they are guilty of hyper-literalism (e.g. thinking Genesis 3 is a story of how snakes lost their legs rather than being a story about Satan grovelling in the dust). I think they are guilty of reading things into the text that are not there, such as there being no animal death before Adam’s sin, or that Noah’s flood was global and created most of the geological record. Those things are not in the Bible. So the answer is “yes,” they certainly could be mistaken. If I am wrong about the age of the Earth, some would say I will lose a reward in eternity. This is one of those doctrinal areas that I don’t understand; there are plenty of passages that seem to teach rewards for the good works of believers, but can we really claim any credit for our good works when whatever good we do is by the grace of God just as much our justification? In either case—rewards or equality—I will watch my life and doctrine closely as best as I can. I won’t get either of these perfect, but I will press ahead. But the main point is that I will be with God forever—in a state of eternal joy—because of the finished and complete work of Christ. Of course some YECs would say I won’t be in heaven at all, but those YECs have a much bigger problem with their understanding of the Gospel than whatever they think my age of the Earth problem is. This is the fifth post in a multi-part review of a young-Earth creationist (YEC) presentation given by Dr. Nathaniel Jeanson of the Institute for Creation Research in Billings, Montana in November 2012. Part 1— The Relevance of Genesis (I was in complete agreement with Dr. Jeanson). The YEC version of the scientific method. Part 2 — Hyper-rapid post-flood diversification of species. Five fossil facts that YECs think point to Noah’s flood. Part 3 — Distortion of “uniformitarianism.” Mount St. Helens. Part 4 — Seawater. Mud sedimentation rates. Radiometric dating. Part 5 — This page. Dinosaurs in the land of bunnies and daisies. My question in the Q&A. 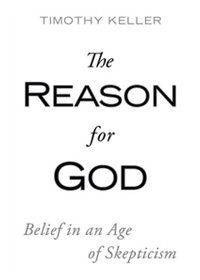 I am an old-Earth Christian and strongly disagree with much of what Dr. Jeanson presented. I believe that young-Earth creationism is neither Biblically necessary nor scientifically feasible. Dr. Jeanson is my brother in Christ, and nothing I am writing in this series should be taken as an attack on him or any other YEC believer. There are two additional posts related to this conference. In I do have an advocate before the Father, I discuss a conversation I had with a fellow attendee at the conference. In There is more than one way to be really wrong about the environment, I critique a video that was shown promoting a radical anti-environmental documentary. Dinosaurs lived with humans as recently as 4300 years ago. Tyrannosaurus ate plants and mosquitoes sucked plant juice. Dinosaurs are mentioned in the Bible, and proof that they existed until quite recently can be found in places like Angkor Wat in Cambodia. Or maybe they are not extinct; they might still be alive today in the dark jungles of Africa. Dinosaurs are not mentioned in the Bible. I’ve addressed this in my post The ESV Study Bible on creation — Dinosaurs in Job? Do the YECs really want us to believe that a sauropod could hide under the lotus plants along the Jordan River? The carving at the Ta Prohm complex at Angkor Wat, Cambodia, is not a Stegosaurus. I wrote Stegosaurus in Cambodian temple? in response to this common YEC claim. The “plates” on the back of the critter in the carving are part of a leaf motif that occurs throughout the site, and the tail has no spikes. The Bible does not say that there was no animal death before the fall of Adam, as I demonstrated in my post Death before the fall — an old-Earth Biblical perspective. YECs are reading something into the text, and then taking that as proof that dinosaurs couldn’t have died before Adam sinned. The Mokele-Mbembe argument (there really are large dinosaurs in the jungles of Africa) should be on Answers in Genesis’s Arguments we don’t use page. Until someone actually provides evidence that there are sauropods roaming the jungles, this is just Sasquatch science. Many of these problems stem from the YEC “bunnies and daisies” interpretive framework for Genesis 1. In the Bible, Adam and Eve are placed in a garden, a safe place that is distinct from the rest of the Earth. Adam is given the command to go out and rule over the Earth; to subdue it and have dominion over it. This implies that Earth was somewhat wild and in need of being subdued. 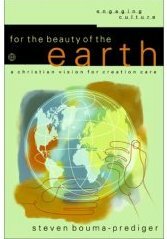 In the YEC framework, on the other hand, the entire Earth is a gentle place, filled with kind animals and soft flowers out of a cartoon created for four-year-olds. I have a Master’s degree in geology and was once a member of the Creation Research Society, but abandoned young-Earth creationism when I figured out it wasn’t Biblically necessary. By God’s grace, my faith stayed intact throughout my transition from young-Earth creationism to acceptance of an old Earth, but this hasn’t been the case for many geology students when they figure out that much of YEC science simply does not work. For example, I have heard that some former students in the Institute for Creation Research’s Master’s degree program in geology went on to have their own crises of faith. This is anecdotal evidence; I have no statistics, but few if any have gone on to be involved in creation research or ministries. 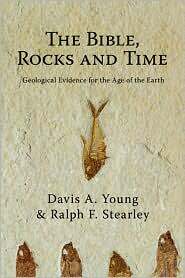 Why do you think it is that almost no geologists have been convinced by evidence presented by young-Earth creationists? First of all, Dr. Jeanson was able to name an ICR geology M.S. student who is still active in YEC teaching and research, and that is Dr. John Whitmore of Cedarville University. I knew that, but it had slipped my mind when I asked the question. I would be very interested, however, to see statistics of what has happened to ICR geology students over the years. Dr. Jeanson’s reason for why so few geologists have been convinced had to do with worldviews. Geologists have been indoctrinated by an anti-God, “uniformitarian” way of thinking, and simply cannot see the evidence that is before their eyes. But this does not explain why so few Christian geologists have been convinced by YEC arguments. As a Christian with geological training, my problem with YEC science is not that I have a wrong worldview (my worldview is probably very close to that of Dr. Jeanson), but that most of what YECs teach simply does not work in the real world of rocks, seas, streams, glaciers, volcanoes, and fossils. The tragedy for geologists, and many other scientists, is that all this bad evidence—promoted as true to the Bible—closes the door for the gospel. They cannot believe because they have been convinced by both skeptics and YECs that to do so would require them to accept YEC science, which is neither necessary Biblically nor workable scientifically. U.S. set for fracking bonanza — Zillions of barrels of oil, Bazillions of cubic feet of natural gas. The U.S. could pass Saudi Arabia in petroleum production. Good for the U.S. economy. Good for national security. Good for the Earth? Is two out of three good enough? 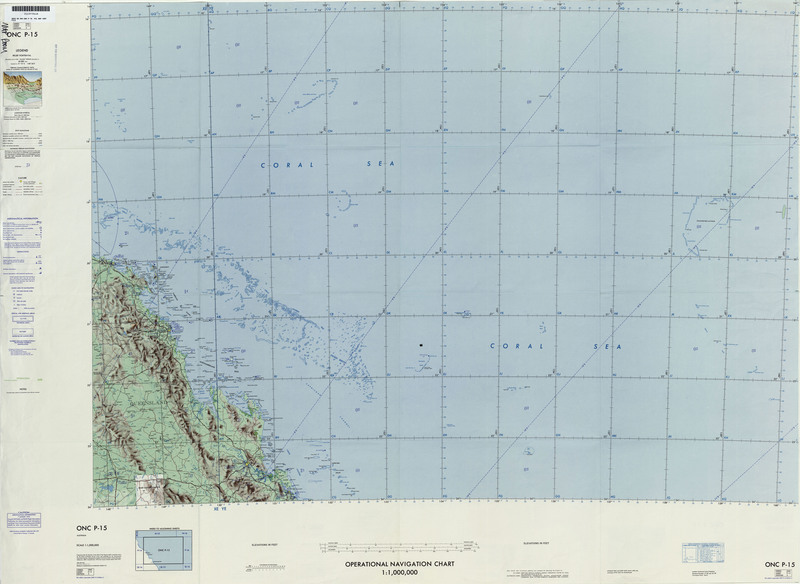 Back in the old days of manual cartography, I would have said it was easier to change the Earth than to fix the map. This N.Y. Times article had a link to The GeoChristian (the long quote from St. Augustine), which caused my readership to double for a few days. This is the fourth post in a multi-part review of a young-Earth creationist (YEC) presentation given by Dr. Nathaniel Jeanson of the Institute for Creation Research in Billings, Montana in November 2012. Part 2— Hyper-rapid post-flood diversification of species. Five fossil facts that YECs think point to Noah’s flood. Part 4 — This page. Seawater. Mud sedimentation rates. Radiometric dating. Part 5 — Dinosaurs in the land of bunnies and daisies. My question in the Q&A. Dr. Jeanson moved on to the topic of the age of the Earth, lecturing on ocean salinity, sedimentation rates, and radiometric dating. Seawater contains a number of dissolved ions: sodium, chlorine, magnesium, and so forth. A common YEC argument for a young Earth is that if the oceans have been in existence for billions of years, they should—in their minds, at least—contain much higher concentrations of dissolved ions (salts) than what is observed. According to the YEC argument, if one can determine how fast an element is entering the ocean, such as from rivers, and how fast it is being removed, such as through chemical reactions on the sea floor, one should be able to determine a maximum age for the oceans. Dr. Jeanson stated that the oceans could not possibly be older than 62 million years old, a number commonly given in YEC literature. This YEC argument is, once again, based on a faulty application of “uniformitarianism.” Geologists do not teach that rates of geologic processes are constant, such as the rate of sodium input or removal from the oceans. Sodium input, for example, is dependent on the amount of erosion that occurs on continents. In times when oceans covered more of the continents, sodium input to the sea would have been considerably lower than at present. At times when large evaporite deposits were being formed in restricted basins, sodium removal rates would have been considerably higher. YECs have not demonstrated that the concentrations of various salts in the ocean are actually increasing. In fact, seawater salinity has actually decreased since the most recent glaciation. This makes sense, as the melting of tens of millions of cubic kilometers of ice would have diluted the oceans. 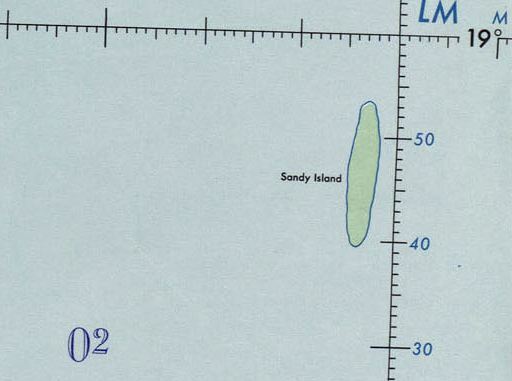 It is difficult to determine the exact salinity of the oceans throughout geologic time, but it appears that there has been a general downward salinity trend since the Cambrian, as can be seen in the figure from Hay et al (2006) shown here. If one applies the YEC argument to minor elements in seawater, one comes up with wacky maximum ages for the oceans, such as 100 years for aluminum. This should raise a giant red flag or turn on flashing warning lights, as we know the oceans are indeed older than my grandparents. Jeanson asserted that if one measures the rate at which mud is entering the ocean compared to the amount of mud that is on the ocean floor, one comes up with a maximum age for the ocean of 12 million years. Again, this argument depends on the distorted YEC definition of uniformitarianism, and ignores many factors. There must be no daughter isotope (e.g 206Pb) at the start. There can be no contamination of parent or daughter. There must be constant rate of decay. The first assumption given by Jeanson is not always necessary. Some radiometric dating methods can work just fine even if there was an initial quantity of a daughter isotope. A common example is rubidium-strontium dating of igneous rocks. What matters in this case is not that the rock or mineral being dated has no initial strontium, but that the magma was homogeneous in terms of its 87Sr/86Sr ratio. Being that 87Sr is formed from 87Rb, minerals in a rock with higher concentrations of 87Rb will have a greater increase in the 87Sr/86Sr ratio over time than minerals with a low 87Rb concentration. By plotting multiple analyses for the same rock on a graph, geochronologists can determine the age of the rock, even though it initially had 87Sr. This is an example of isochron dating. The mathematics behind this technique are straightforward, and rubidium-strontium dating has been used successfully many thousands of times, even though it violates the first of Dr. Jeanson’s assumptions. In other radiometric dating techniques, we can be certain that there was no daughter when the mineral formed, without making assumptions that may or may not be true. An example is fission-track dating. A fission-track is formed when a nucleus of 238U spontaneously undergoes fission, rather than undergoing the more common emission of an alpha particle. The two newly-formed nuclei, both being positively-charged, are repelled from each other with tremendous energy, and create a trail of damage in the crystal. The number of fission-tracks formed a mineral is dependent on the uranium concentration and age; the initial concentration of fission-tracks will certainly be zero. The third assumption is one that has been called into question by YECs, and there is some evidence that there can be minor fluctuations in some decay rates. There are a number of problems, however, with YEC arguments regarding decay rates. They claim, for example, that radioactive decay occurred at a dramatically increased rate during Noah’s flood. The problem is that radioactive decay generates a tremendous amount of energy, and accelerating the process to this extent would produce enough heat to boil the oceans and melt a significant portion of Earth’s crust. A second problem is that the amount of radiation released by accelerated nuclear decay would have fried the inhabitants of Noah’s ark. Not only would radiation be coming from Earth’s crust, but radiation would be coming from the million-fold increase of decay of 40K and 14C in Noah and his family; the animals, and the wood of the ark. A third problem with accelerated decay is that whatever causes this decay (neutrinos?) would have had to affect a number of very different decay mechanisms—alpha, beta, positron, spontaneous fission, and others—in exactly the same way. This is because, despite what YECs say, most dates determined by radiometric methods are both consistent and concordant. They are consistent in that they usually give results that make sense in terms of geological history as understood by geologists, and they are concordant in that different methods used on the same rocks usually give similar ages. Inaccurate — Radiometric dating sometimes gives results that are clearly wrong, but YECs want you to believe this is the rule rather than the exception. Dr. Jeanson discussed volcanic rocks that are of known age, such as the dacite from the 1980s eruptions of Mount St. Helens. These rocks (or mineral and glass separates from the rocks) give K-Ar dates that range from 340,000 to 2,800,000 years, even though we know they were formed in the 1980s. It must be understood, however, that the K-Ar method cannot be used for samples less than a few hundred thousand years old. Samples younger than that are expected to have significant errors due to traces of argon in the laboratory. Jeanson went on to state that every rock of known age ends up with a goofy age when dated by radiometric dating. This is quite simply not true; one example is a date determined for the AD 79 eruption of Vesuvius (here). I could go on about xenoliths and 40Ar/39Ar dating, but will save that for another time, or you can read about xenoliths here. Inconsistent — Radiometric dating methods sometimes give results that are inconsistent with one another, therefore all radiometric dating is suspect. Dr. Jeanson discussed rocks that were dated at 1.5 billion years by U-Pb dating, but when dated using a YEC helium diffusion model, the age turned out to be 6,000 years. It has been demonstrated that, in the YEC RATE study which Jeanson was referring to, the YEC researchers once again applied a faulty definition of uniformitarianism, and used a simplistic model for helium diffusion in the mineral zircon. When corrections are made to the helium diffusion model, the data is much more consistent with an old Earth than with a young Earth. You can read more about it here and here. Impossible results — Dr. Jeanson discussed another much-publicized finding of the RATE study, and that is the existence of carbon-14 in samples that are alleged to be millions of years old and should therefore be radiocarbon-dead. In hindsight, it should not be surprising that traces of radiocarbon would be found in these substances. Not all 14C in Earth’s crust has a biological source; some will be created anyplace where a carbon-containing substance (e.g. coal, diamond) has uranium associated with it, which is not uncommon. Neutrons from spontaneous fission of 238U, for example can cause nuclear reactions in the crust that form 14C. This is insufficient to form all 14C found in coal, but there are other explanations for the bulk of that, such as contamination by organic carbon carried in groundwater. An additional problem for the YECs is contamination in the laboratory, which is especially significant given that the amount of 14C in these samples is near the lower detection threshold for the mass spectrometry instruments used. The YEC attacks on radiometric dating probably sounded convincing to most of the audience, but are full of flaws and should not be used as Christian apologetics. This is the third post in a multi-part review of a young-Earth creationist (YEC) presentation given by Dr. Nathaniel Jeanson of the Institute for Creation Research in Billings, Montana in November 2012. Part 3 — This Page. Distortion of “uniformitarianism.” Mount St. Helens. This is part 3 of my review of Institute for Creation Research scientist Dr. Nathaniel Jeanson’s young-Earth presentation sponsored by the Big Sky Worldview Forum in Billings, Montana, November 9-10, 2012. Dr. Jeanson introduced this section on the layers of the rock record by providing a distorted definition of “uniformitarianism” for the audience. According to Jeanson, uniformitarianism is the idea that present rates of Earth processes–erosion, uplift, deposition, etc.—have been the same throughout geologic history. In other words, he used an 1830s concept without modification, and implied that this is what modern geologists teach. I am sure very few in the audience—perhaps no one but me—noticed this. Modern geologists do not teach that rates of processes have been the same, only that natural laws have stayed the same. This does not exclude variation of rates of erosion, deposition, sodium input into oceans, plate tectonic movement, heat flow, or any of a long list of other processes. It also does not exclude larger-scale catastrophes, such as large meteorite impacts, tsunamis, or “supervolcano” caldera eruptions. The assumption that natural laws stay the same have their roots in Christian theology, and many philosophers and historians of science have made this connection. YECs themselves use the concept of uniformitarianism in their attempts to explain Earth history using Noah’s flood. They try to avoid God’s intervention in most aspects of the flood, choosing to invoke the laws and concepts of fluid dynamics, sedimentology, geophysics, nuclear chemistry, genetics, and other fields of science, to explain the nature of the rock and fossil record. They may invoke God to get the flood going, but for the most part they try to explain the flood through natural processes. God made the universe to be comprehensible. We will never understand everything through science, but learning about the creation is implied in the creation mandate given in Genesis 1:28. Humans cannot rule over the creation if they are not able to understand it. It is true that, as Christians, we believe God sometimes acts in such a way that supersedes the laws of nature. Examples include Noah’s flood (I believe in Noah’s flood, but don’t believe the Bible requires it to be global), the crossing of the Red Sea, and the resurrection of Christ. In general, these exceptions are spelled out for us in the Bible, and have to do with the unfolding of salvation history. These miracles stand outside of the normal flow of Earth and human history, and may or may not be things we can investigate scientifically centuries after they occurred. For example, we don’t have an Institute for Resurrection Research around in order to prove Christ’s resurrection. Next, Jeanson reminded us that whatever we say about the layers of sedimentary rocks on Earth must conform to what we (i.e. YECs) know from the Bible about Earth history: a young Earth, a certain order of creation as outline in the days of Genesis 1, the genealogies of Genesis, and the existence of a global, catastrophic flood. According to Jeanson, geology must fit into these “facts.” I’ve discussed these elsewhere; for now I’ll just state that the Bible requires neither a young Earth nor a global flood. So, we don’t have to force the Earth to fit into the narrow YEC interpretation of Scripture. Jeanson moved on to the “scientific fact of the flood.” For him to call this “scientific” is a contradiction of what he said earlier: that we cannot know about Earth history through science. But I guess it is science when YECs give an account of Earth history, but not science when someone else does it. Jeanson said that there is plenty of water on Earth in the ocean basins to flood the entire planet. I won’t argue with that. Next, he gave a standard YEC presentation about Mount St. Helens, claiming that its 1980 eruption provides a number of features that support YEC flood geology. For example, there are thick layers of sediment that were formed quite rapidly, a canyon (1/40 of the size of the Grand Canyon, he claimed) that also formed quickly, and floating logs in Spirit Lake that provide a model for fossilized forests in the fossil record; I’m assuming he is referring to localities such as the petrified forests of Yellowstone and the “polystrate” forests in Carboniferous sedimentary rocks at Joggins, Nova Scotia. The main thing that the Mount St. Helens features demonstrate is that volcanoes can produce thick deposits of volcaniclastic rocks in a short amount of time. There is nothing revolutionary in this statement. These volcaniclastic rocks—formed of volcanic debris worked by sedimentary or sedimentary-like processes—are readily distinguishable by their composition from the sandstones, shales, and limestones that make up most of the sedimentary rock record. The sedimentary structures preserved in these volcaniclastic rocks are characteristic of very high energy deposition, which distinguishes them from sedimentary rocks formed in other environments, such as streams, lakes, beaches, tidal flats, and carbonate platforms, to name a few. Mount St. Helens can teach us a lot about volcaniclastic deposition, but it cannot tell us much about deposition of lime mud; one might go to the Bahamas for that. Likewise for “polystrate” trees. The Joggins site is not analogous to Spirit Lake. The sediments at Joggins were not deposited in a lake or volcanic setting, but apparently in a stream environment. The trees have roots that are embedded in the underlying sediments, which implies that they grew in place, and not transported by a catastrophe. The Yellowstone forests, on the other hand, may be somewhat analogous to Mount St. Helens, in that both involve a volcanic environment. So all we can say from this is that volcaniclastic sediments can bury forests, which can be preserved in an upright position. This really does not do the YECs much good. As far as erosion goes, it is clear that water can do a tremendous amount of erosion. The YECs want us to multiply what happened at Mount St. Helens to a much larger scale, to form things like the Grand Canyon. The problem for the YECs, however, is that the erosive power of water is too great for what they want to prove. If at near the end of the flood the continents were covered by water, and then erosion occurred as the flood receded, a lot more erosion would have occurred than what works for the YECs. You see, when the Grand Canyon eroded, sediments were transported a few hundred miles further down the Colorado River and then deposited in places like the Colorado River delta. This is because the sediments were dumped as soon as the energy of flowing water was no longer sufficient to transport them. This is because sediment transport was being accomplished by a stream. If the sediment had been transported by draining waters from Noah’s flood, then the sediment would have traveled much further. The fact that virtually all sediments are deposited on continents, which are the high points on Earth, points to relatively low-energy sediment transport, which means streams. If Noah’s flood had been draining off the continents, one would expect that most material eroded off of the continents would end up in ocean basins rather than on the continents. As it is, there are very thick deposits of sediments in the interior of the continents. Despite all of this, Jeanson confidently concluded this section with a typical YEC statement that all of this is impossible to explain by “evolutionists,” but easily explained by Noah’s flood. This is a typical YEC strategy in their writings and presentations, and always incorrect. Coming up next: the age of the Earth, and dinosaurs. This is the second post in a multi-part review of a young-Earth creationist (YEC) presentation given by Dr. Nathaniel Jeanson of the Institute for Creation Research in Billings, Montana in November 2012. Part 1 — The Relevance of Genesis (I was in complete agreement with Dr. Jeanson). The YEC version of the scientific method. Part 2 — This Page. Hyper-rapid post-flood diversification of species. Five fossil facts that YECs think point to Noah’s flood. This morning (9/10/2012) I attended another of Dr. Nathaniel Jeanson’s young-Earth creationist (YEC) presentations, sponsored by the Big Sky Worldview Forum. He gave three presentations, one each on biology, geology, and dinosaurs. It is interesting that YECs are so opposed to evolution, but then turn around and advocate hyper-rapid evolutionary change (all called microevolution) in the time after Noah’s flood. I won’t report much about Dr. Jeanson’s biology presentation, except to say that the rate of post-flood diversification of species advocated by YECs would make the most ardent evolutionist’s head spin. According to the YECs, one did not have to have horses, zebras, donkeys, and all the other equids on Noah’s ark, but only a single pair of ancestral equids. All of the modern equids—horses, zebras, etc.—came from this pair through rapid divergence after the flood. He discussed Darwin’s finches (on the Galapagos Islands) and talked about how this shows that related species can indeed form over time from a common ancestor. He then pointed to a YEC study that states that not only Darwin’s finches, but perhaps 1000 bird species, all came from a single pair on Noah’s ark. The PowerPoint slide looked like this included cardinals, orioles, and a wide variety of other birds. Elsewhere in his biology presentation he stated that all of this diversification occurred in the past 4300 to 4500 years, the time since YECs say Noah’s flood occurred. But he really does not have that much time for ancestral finches to diversify into 1000 species, or for the ancestral equids to diversify into the wide variety of horses, zebras, and donkeys that we see in the world today. This is because most of this diversification would have had to happen—and I’m thinking of the YEC chronology here—within the first few hundred years after the flood. Otherwise, you could not have the distinction between horses and donkeys in the Old Testament, the diversity of life that is described in other ancient writings, nor the geographic distribution of organisms around the world that we see today. There was no animal death before Adam’s fall into sin (no it doesn’t — see my post Death before the fall — an old-Earth Biblical perspective). There were no thorns before the curse (that is really hyper-literal over-reading of the text). Noah’s flood had to be global (only if you only read YEC commentaries — see my post The YEC “Did God really say?” tactic). The fossil record must have been deposited by the flood (just like the Bible says in Genesis chapter 6½ verse 22.7b, and in 3 Thessalonians 14:55). Fossils are 95% marine. He showed a diagram of the geologic time scale, with trilobites in the earlier Paleozoic, fish in the middle Paleozoic, amphibians and insects later in the Paleozoic, dinosaurs in the Mesozoic, and mammals in the Cenozoic. He said that we should not look at this order, however, but at the fact that most fossils throughout the geological record are marine, such as fossils of fish, trilobites, belemnites, ammonites, and brachiopods. So he dismissed the order of land vertebrates with a hand wave—a vertical distribution that YECs have yet to adequately explain—and then ignored the fact that the marine fossil record also shows significant change as one goes up the geologic column. Fossil distribution — they are found on the continents. This implies that the oceans covered the continents. I would say that marine fossils on continents are a problem for neither YECs or within the standard old-Earth geological interpretation. It was interesting, however, that the picture Dr. Jeanson showed for this point was of a fish from the Green River Formation in Utah. These fish are all freshwater fish, who lived together with a wide variety of plants and animals who made up a freshwater ecological community, and are beautifully preserved in non-marine lake sediments. It is extremely difficult to envision how this freshwater community was caught up in Noah’s flood, held together as a cohesive unit, and deposited late in the flood with exquisite preservation. If, as some YECs envision, the Green River Formation is a post-flood deposit, it is difficult to imagine how all of these organisms got to the Green River Basin of Utah, Wyoming, and Colorado quickly after the flood, matured into a complete ecosystem, and did this while thousands of feet of sediments were being deposited to make the Green River Formation. Geologic layers can extend over large areas, sometimes covering an entire hemisphere. This implies a large, watery catastrophe. He gave the example of chalk layers in Texas that extend all the way to Britain. The standard interpretation of these extensive layers—here in Montana the Madison Limestone is the same layer as the Redwall in the Grand Canyon—is that similar ecological conditions existed over very large areas. I see no problem with this. On the other hand, I do see problems with Jeanson’s chalk layer. Chalk—such as exposed at the White Cliffs of Dover in England—is composed of innumerable microscopic shells of coccolithophores, which are algae. These algae need sunlight in order to do photosynthesis. The YEC explanation for thick chalk deposits is that there was an algal bloom during the flood, and that the organisms all died and sank to the bottom. The problems with this hypothesis include the fact that the flood waters must have been murky, which would reduce photosynthesis, and that too many other things would have been going on at the same time to allow the coccoliths to all settle to the sea floor to make a rather pure layer. Snapshot fossils imply quick burial. He showed another Green River fossil fish photo, with a bigger fish choking on a smaller fish (here are some examples). This has all of the problems I listed above on #2. How did these freshwater fish survive most of the flood, only to be entombed at the end? Why were they not abraded by all of the silt they are preserved in? He also showed an ichthyosaur caught in the fossil record giving birth. In the YEC scenario, this marine reptile survived two-thirds of the flood and was suddenly overwhelmed by the flood that had already been going on for weeks or months. Soft tissue fossils imply a young age and recent burial. Jeanson talked about soft tissues that have been discovered in bones of Tyrannosaurus rex. I agree that the discovery of soft tissues in these Cretaceous fossils is quite surprising, and that paleontologists don’t have a good explanation for how they could be preserved for more than 65 million years. I don’t know the answer. It is possible that a mechanism for preserving certain organic compounds for very long periods of time will be discovered, but that has not happened yet. This is one of the few YEC arguments that I don’t have an answer for. One anomaly is not enough to demonstrate that YEC is true. Jeanson concluded his Fossils section by saying that this all screams Noah’s flood. No, it screams that YEC arguments are full of holes, and should not be used by Christians as proof of the truthfulness of God’s Holy Scriptures. There is much more, but that is enough for one sitting at the computer. There is more to come. This is the first post in a multi-part review of a young-Earth creationist (YEC) presentation given by Dr. Nathaniel Jeanson of the Institute for Creation Research in Billings, Montana in November 2012. Part 1 — This page. 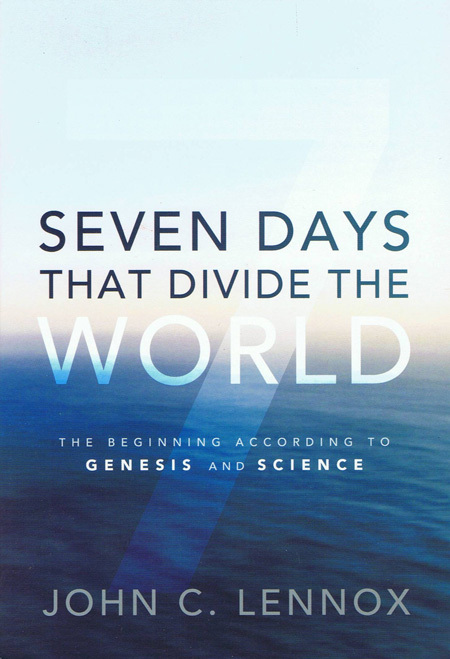 The Relevance of Genesis (I was in complete agreement with Dr. Jeanson). The YEC version of the scientific method. This weekend, the Big Sky Worldview Forum is sponsoring several talks by Dr. Nathaniel Jeanson of the Institute for Creation Research, one of the most prominent young-Earth creationist (YEC) organizations. Dr. Jeanson has a PhD in developmental biology from Harvard Medical School, and has been with ICR since 2009. I attended the Friday night session (11/9/2012) and was blessed by parts of the presentation, and, of course, strongly disagreed with other parts. 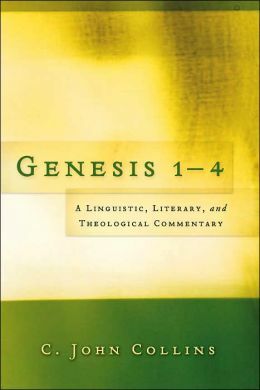 Genesis is about the beginning, and introduces cosmic themes that run throughout the Scriptures. 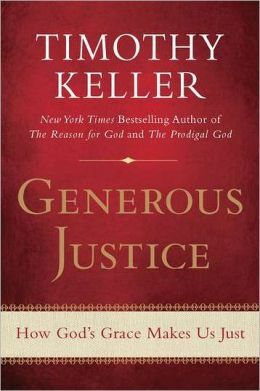 He traced several Biblical themes that are introduced in Genesis and run throughout the Bible, finding their fulfillment in Christ and being brought to culmination in Revelation. An example is the concept of godly dominion. Adam was given authority to wisely rule the creation in Genesis 1, screwed it up in Genesis 3, and that dominion is restored to its proper place in Revelation 5:10, which says “You have made them to be a kingdom and priests to serve our God, and they will reign on earth” (NIV84). That reigning on earth is a restoration of what was mandated back in Genesis 1:26. Genesis is God’s Word. That in itself makes it worth listening to. Genesis was written for us. 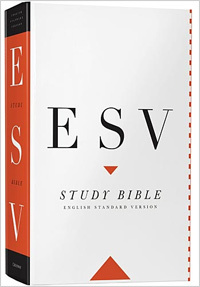 Rom 15:4 says that “everything that was written in the past was written to teach us, so that through endurance and the encouragement of the Scriptures we might have hope.” (NIV84). We miss out on something if we ignore Genesis. Genesis, as all Scripture, is our means to know God. The opening chapters of Genesis lay out some of God’s attributes clearly, and if we change Genesis we change the nature of God. Genesis lays the foundation for the Gospel. It reveals to us our problem—rebellion against God—and sets the groundwork for our deliverance in Christ. I am in complete agreement with these statements. Genesis is a critical book for understanding where we came from and who we are. We are created in the image of God, bearing similarities to God that no other creature has. We are also embedded in and responsible for the rest of creation. But on the negative side, we are also sinful and in rebellion against God. A secular or atheistic worldview would deny all of this: humans are merely evolved apes, different in degree but not in nature from other animals. The Christian view of humanity not only paints a picture that is true to who we are, but is the only one that offers real hope. If we are not fallen, then there is not something better that we could be. In Christ, that which is broken is being restored to that which God intended from the beginning. Many YECs would say that I as an old-Earth Christian couldn’t really agree with Dr. Jeanson’s five statements; that somehow I have compromised and have distorted the Word, God’s character, or the Gospel. The burden of proof is on them. I’ll refer to my Creation Creed to defend my orthodoxy. Bible First. The Scriptures take priority over scientific investigation. Big Effects. Expect the events of the Bible, such as Noah’s flood, to have left behind signs that they occurred. Bounds of Science. Just say “no” to knowing about the past through science. There is always an alternative explanation. In regards to #1 — Yes and no. I was once a YEC and was even a member of the Creation Research Society. I didn’t become an old-Earth Christian until I was convinced from the Scriptures that the planet could indeed be old. I saw the geological evidence for an old Earth, but I had to have both the Bible and science pointing to an old universe before changing my position. But I also say “no” because we need to be careful to not distort science in order to defend what may be a faulty interpretation of the Bible. The history of Bible-science interaction abounds with examples of this, including the Copernican revolution, and YEC Bible interpretations such as the vapor canopy which were presented as both Biblical and scientific but had to be abandoned (by most YECs anyways) under the crushing weight of both Biblical and scientific difficulties. YEC method #2 — Maybe sometimes. I would expect Noah’s flood to have left signs if it were indeed global, but that is more ambiguous in the Scriptures than YECs would have you believe. I’ve written more about Noah’s flood here. And regarding the bounds of science, method #3 — I’d say that YECs try to win a debate by defining terms in their favor. Dr. Jeanson used a very narrow definition of “science” as part of his argument. To him, and to many YECs, true science is only what can be done in a controlled situation, such as in a laboratory. If it isn’t the hypothesis–experiment–analysis–conclusion “scientific method” one learned in 8th-grade science, then it isn’t real science. One cannot put the Earth in a test tube and repeat its history, so anything geologists say about Earth history may be forensic speculation, but not science. It would be far better, however, to describe the historical studies done by geologists, archeologists, astronomers, and others, as just a different way of doing science. We are still studying the creation, trying to determine what its true history is. Our conclusions might not be as certain as something like the laws of thermodynamics, but there are still statements about Earth history that we can say with a high degree of confidence. Dr. Jeanson said a little bit about astronomy, but I think the scheduling of the evening got away from him (not his fault), and I don’t think he was able to present a good amount of the material he had prepared, which was unfortunate. There was a question and answer time, and he fielded a couple of geological questions. One was something like “There is a lot of oil exploration going on around here, and I’m wondering if young-Earth geologists are working on models to explain the layers.” The basic answer was “no,” mainly because there aren’t that many YEC geologists working for ICR and AiG. I was itching to jump in, but that would not have been proper. The truth is that YEC has provided nothing in the past 50 years that would help oil companies find oil. Nothing. If the YECs came up with a better explanation for where oil and gas could be found, the exploration companies—which are run by people interested in profit, not geology or evolution—would jump on it. Millions of Years – Still Not Enough Time? The Geologic refutation of evolution and of millions of years. The Flood… the Fossil Record… and Dating methods?